Blue Yarrow is part of the Blue essential oils family. It contains the organic compound, Azulene, which was first distilled from chamomile in the 15th century, and later from wormwood and yarrow. Azulene is prized for it's calming properties, healing a variety of irritating skin conditions due to it's anti-inflammatory and anti-bacterial properties. Blue Yarrow is a sweet aromatic herbal oil and is one of the most powerful natural astringents. It shrinks the skin and promotes skin healing which is espically helpful to acne prone skin. It is a powerful anti-oxidant, anti-inflammatory, anti-microbial and antiseptic but is also helpful at regenerating skin cells. It too is fantastic as an eczema treatment, healing all sensitive skin issues including dermatitis, psoriasis, and eczema. Blue Yarrow isn't the only blue oil. Blue Chamomile (also called German Chamomile), Blue Tansy (also called Moroccan Chamomile), and Blue Cypress. The German Chamomile is also known as Matricaria Recutita in Latin. Its primary difference from the Roman Chamomile is the aroma. Generally, its aroma is less pronounced. This beneficial sensitive skin essential oil is a cousin of the daisy, known to be gentle and relaxing. It penetrates deep into the layers of your skin where its concentrated anti-inflammatory properties can restore and soothe irritated skin, burns, and other angry conditions. German chamomile oil has anti-fungal, anti-inflammatory, and antiseptic properties making it perfect for sensitive skin prone to inflammation, dermatitis, eczema, psoriasis and breakouts. The wild healing properties of Blue Tansy Essential Oil stem from the azulene pigment that gives the oil its striking sapphire color. The high quantity of azulene gives Blue Tansy Oil the ability to heal burns, blisters, acne, boils, dermatitis, eczema and rashes. As a tissue regenerator, Blue Tansy Oil is a soothing antidote to both wounds and wrinkles. This oil hydrates the skin but takes away the excess sebum deposited on the skin. This way, it helps to cure acne. Because of its astringent activity, it is used to remove greasiness and excess oil from the skin. Our No. 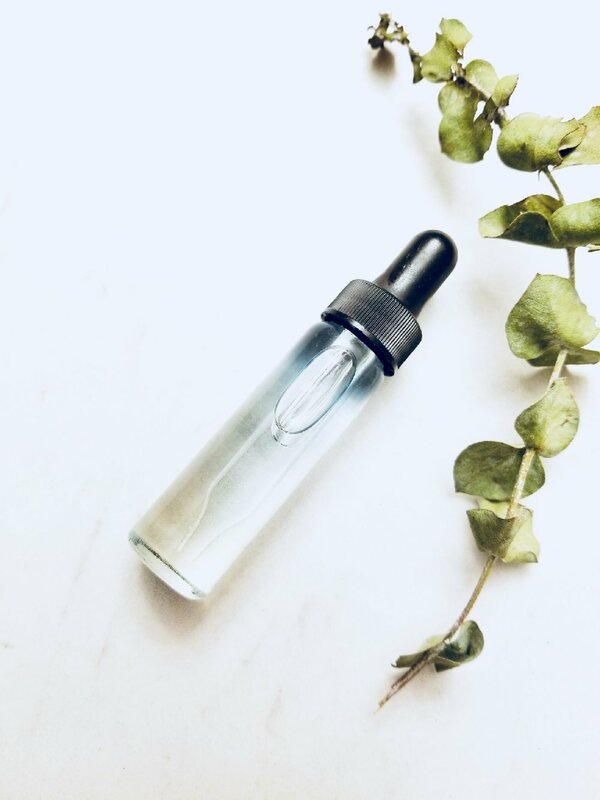 42 Blue Tansy + Watermelon Seed Oil facial serum is made with Blue Tansy and Blue Yarrow essential oil which is blue liquid gold. 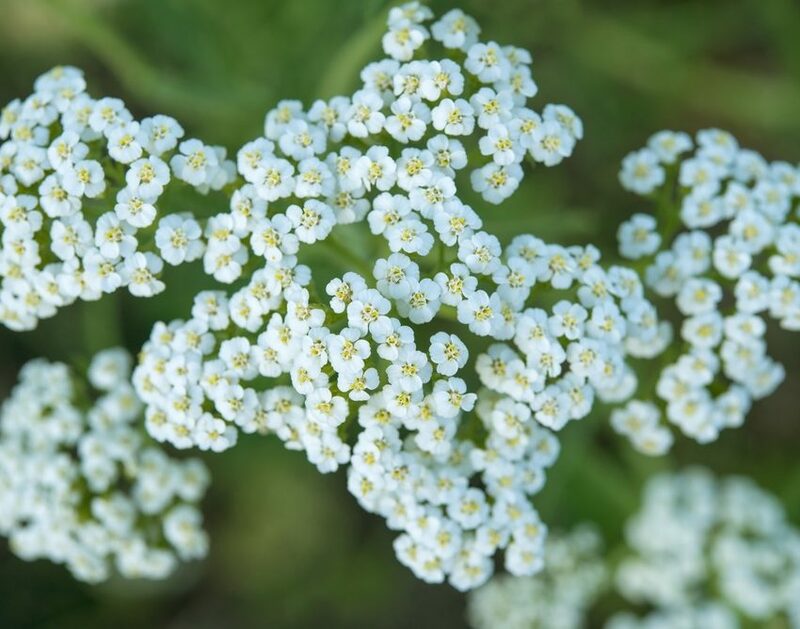 Yarrow is also helpful for balancing oily skin. This oil is perfect for those with combinaiton skin for balance.